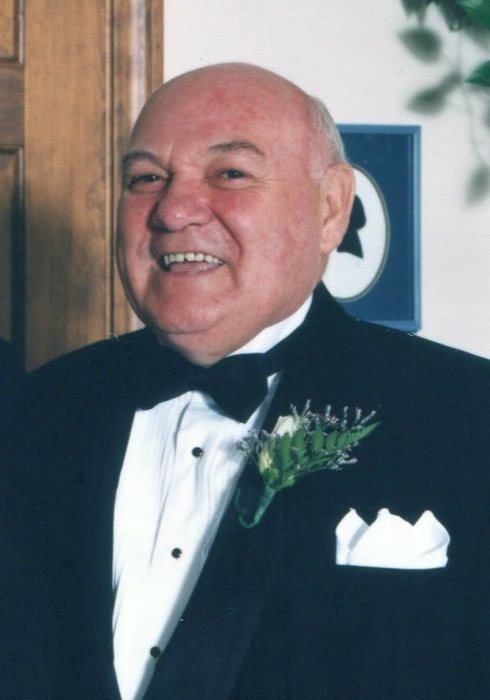 Donald Eugene Julian, 87, of Marlborough, beloved husband of Theresa (Martel) Julian, died Saturday Aug. 18th on vacation in North Hero, VT. Born May 15, 1931 in Winooski, VT he was the son of the late Arthur and Mary (Hamilton) Julian. Donald proudly served his country in the U.S. Army during the Korean War. Donald had worked as a truck driver before his retirement. He was an active communicant of St. John Fisher Church in Marlborough, and a Life member of the American Legion in Marlborough. Besides his loving wife he is survived by his children Jay Julian of Marlborough, Jeff Julian and wife Leigh of Titusville, FL, Daniel Julian and wife Mary Beth of Colchester, Ronald Julian and his girlfriend Tracy of Marlborough, his grandchildren Karisti, Amanda, Justin, Eric, Jenna Gail, Ally, brothers and sister Arthur Julien of VT, Ray Julian of VT, Dorothy Martin of East Hartford, Richard Julien of East Hartford, and several nieces and nephews. He was predeceased by his brother Robert Julian. Don was a good man, with strong values and simple needs. He led by example, instilling in his sons a belief in hard work and love of family. He had a smile and kind word for all, he truly enjoyed life. Don loved to fish and was on his annual fishing trip when he passed away unexpectedly. He was an avid sports fan, cheering on UCONN Basketball and the NY Giants. He was a lifelong Yankees fan, and is surely doing what he can to see they get another ring! Don will be sadly missed by Theresa and his family. It is their hope that, you too, have been blessed with a person like Don in your life. Friends may call at the Spencer Funeral Home 112 Main St. East Hampton on Friday Aug. 24th from 5:00PM until 7:00PM. A Funeral Liturgy will be held on Saturday at 11:00AM in St. John Fisher Church in Marlborough. Burial will follow in Jones Hollow Cemetery on West Rd. in Marlborough. In lieu of flowers memorial donations may be made to the Marlborough Senior Center at P.O. Box 29 Marlborough, Ct 06447.